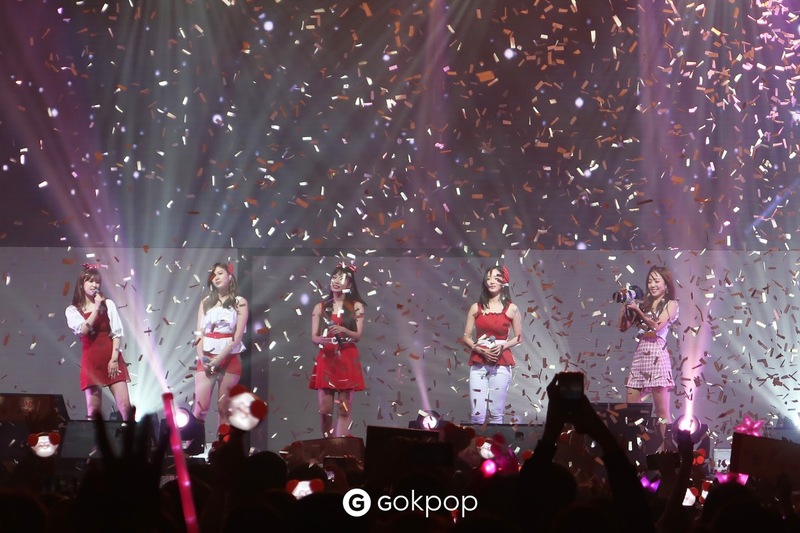 It was definitely a fruitful night for Pink Pandas as APink finally held their long-awaited 2-hour 2018 APink Asia Tour concert at Menara PGRM, Kuala Lumpur on 9th September 2018! As you might have not know, this is not the first time APink have visited Malaysia, as they were here for several events including 2017 K-WAVE Music Festival and MTV World Stage 2015. Because of the overwhelming support and endless love received from their fans, APink decided to bring their bright and charming attitude to their Malaysian fans again on their own first full concert in Kuala Lumpur! The venue was filled with loud screams and fan chants as APink started off the show with their new hit song, ‘I’m So Sick!’ The girls were dressed in cobalt blue outfits and killer high heels, leaving the fans completely in awe with their charismatic stage presence. They also performed their ultimate hit songs including 'No No No', 'Mr. Chu', and 'LUV'. As the show almost come to an end, the girls bid farewell to the fans by throwing autographed bright coloured balls to the fans whlist performing their songs, 'Promise Me' and 'The Wave’. The members also expressed how grateful they are with all the love and gifts they are still receiving from Malaysian Pink Pandas. Despite the language barrier, Hayoung and Chorong were very thankful that the fans took effort to learn Korean language to communicate with them. Last but not least, APink members mentioned that if there is another opportunity that will fall onto their laps, the girls would definitely come back to have their own concert again. Would you like to see them again? We definitely do! Here's a short video of Hayoung singing to 'Into The New World' and 'Lil Touch' by Girls' Generation! GOKpop Malaysia is an online media that caters Korean entertainment and was appointed as the Official Online Media for TVXQ World Tour "CATCH ME" in Malaysia, GOT7 1st Fan Meeting in Malaysia,‘TWENTY’ Gala Premiere in Malaysia and Roy Kim Promo Tour in Malaysia 2016. A Good Day with Park Bo Gum in Malaysia: It's More than Just A Fan Meeting! 17 Mar - Lovelyz Concert in Singapore "Lovelyz 3 of Winter World"
GOKpop, a website providing exclusive Korea entertainment news happening mainly in Malaysia and Singapore. Join Us!